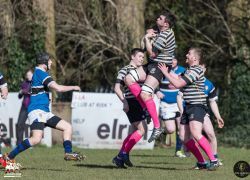 It was a massive weekend in Kukri Ulster Rugby Championship Division 1 with Instonians claiming the Championship after a bonus point win against their “club share” rivals Cooke. Not one for the faint hearted this one with Cooke receiving 5 yellow cards in a typically feisty affair. Ballyclare, who had been pushing Instonians all the way, slipped up in a thriller at home with Enniskillen sneaking a one point win at The Cloughan in the surprise result of the afternoon. It was a big win for Enniskillen who have a game in hand over Portadown to see who goes into the relegation/promotion play offs. The results from the weekend are as follows. It’s not quite the final table, there are still a few catch up games to be played, but the top three have completed their fixtures and Inst are confirmed champions. Clogher Valley are relegated and Enniskillen or Portadown will go into the promotion/relegation play offs. We caught up with Instonians win against Cooke and CIYMS’s win over Coleraine. Pictures below courtesy of Ian Humes Photography and Bob Given Photography. 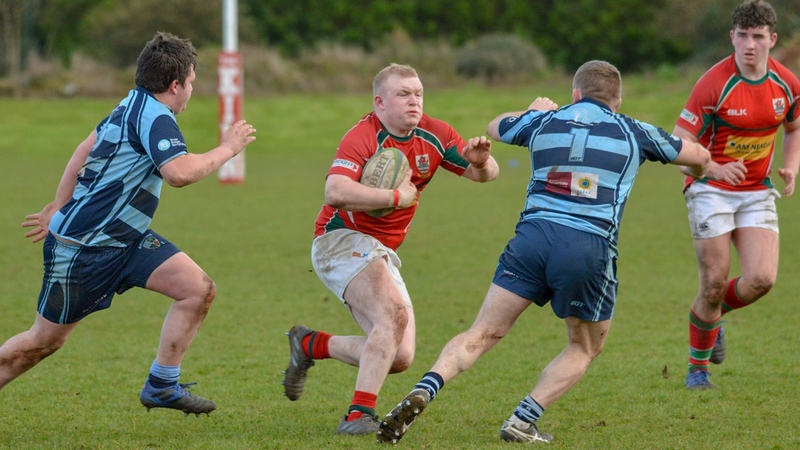 There are still a few games to catch up on in the Kukri Ulster Rugby Championship Division 2. However a full set of fixtures were completed last weekend with Ballymoney taking advantage other results to leave themselves still with a chance of a promotion play of spot as second placed Randalstown slipped up against the erratic Limavady. Larne legend Ryan McAllister in action against Ballymoney. Picture credit – Bill Guiller. Grosvenor wrapped up Division 2 some weeks ago, and will replace Clogher Valley in Division 1, but there is still something to play for with the second place side going into promotion play offs, the bottom side relegated and the second from bottom going into relegation play offs. If my maths is right that leaves everyone but Ards and Limavady still with something to play for, though the continued involvement of some may be tenuous! 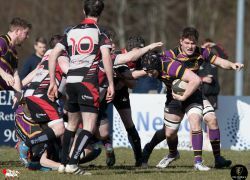 There is still plenty of distance to go in the Kukri Ulster Rugby Championship Division 3 with games stretching on until the end of April. Which leaves the league as follows, the only certainty at the minute is Donegal Town going down!